Junior college is a phase wherein you build your character and transform from a child into a fine human being. Get admission in Prakash College and discover a life where we treat you as an individual and help you experience and learn and not just mug up. Get into the best junior college in Kandivali. 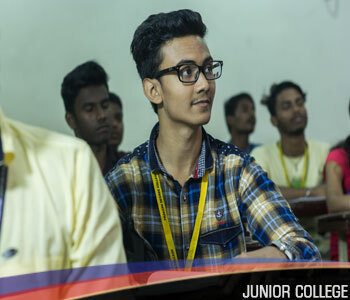 We have a faculty and staff aided with our infrastructure and state-of-the-art laboratories and equipments that help you nurture your inherent skills at this junior college in Mumbai. A candidate seeking admission into our junior college for science and commerce must have passed the Std X from Maharashtra State Board of Secondary and Higher Secondary Education, ICSE board, CBSE board, IGCSE board, NIOS board OR must have passed an examination of another board recognized as equivalent to Secondary School Certificate (Std. X) Examination. Here are the courses that we offer. Please choose wisely, as this will change the course of your life.